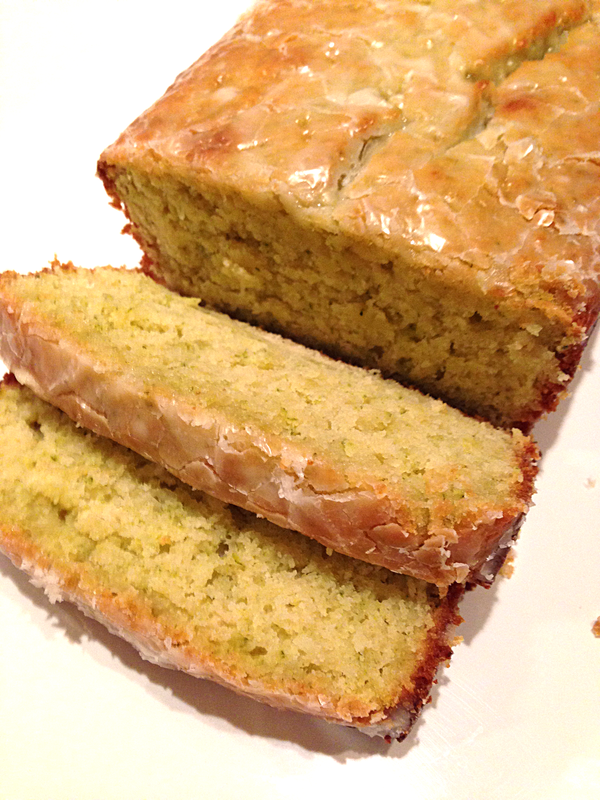 Lemon Zucchini Cake Recipe – It counts as a vegetable. It’s a bread! It’s a cake! 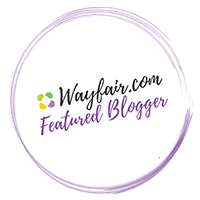 It’s…a vegetable? Well, it has vegetables in it and it definitely tastes like a cake, so I say we can count it as a serving of both. 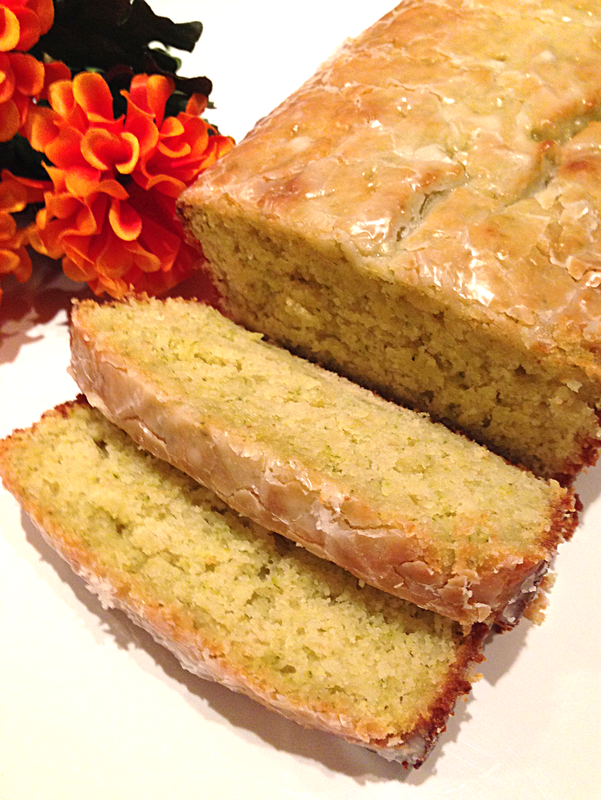 This cake can be served up as an afternoon snack to go along with tea, or to a group of unsatisfied sweet tooth’s post girls’ dinner. We went with the second option. I have to thank them for saving me from eating a whole cake by myself! 1. 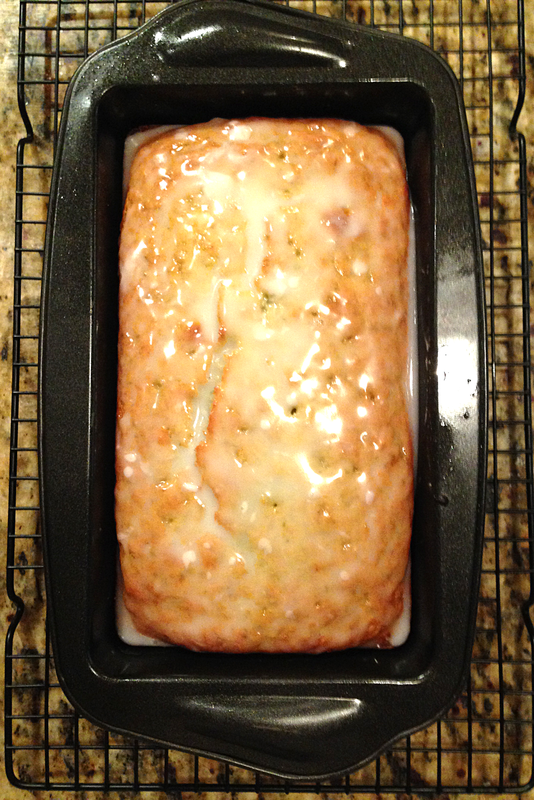 Preheat the oven to 350 degrees F. Grease a 5″ x 9″ loaf pan with cooking spray, like Pam, or some butter. 2. 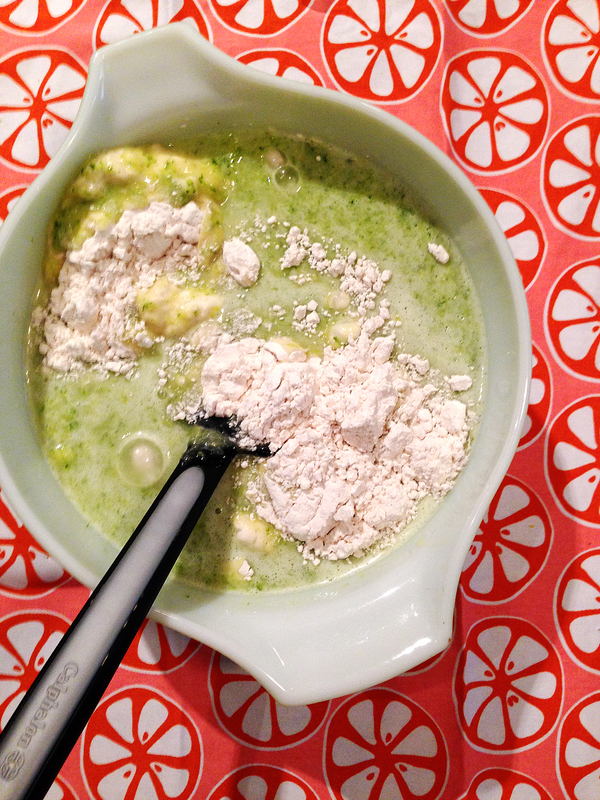 In one large bowl, mix together the dry ingredients including the flour, salt, and baking powder. In another bowl, beat the egg. Add the sugar and oil and combine. 3. Zest the lemon. 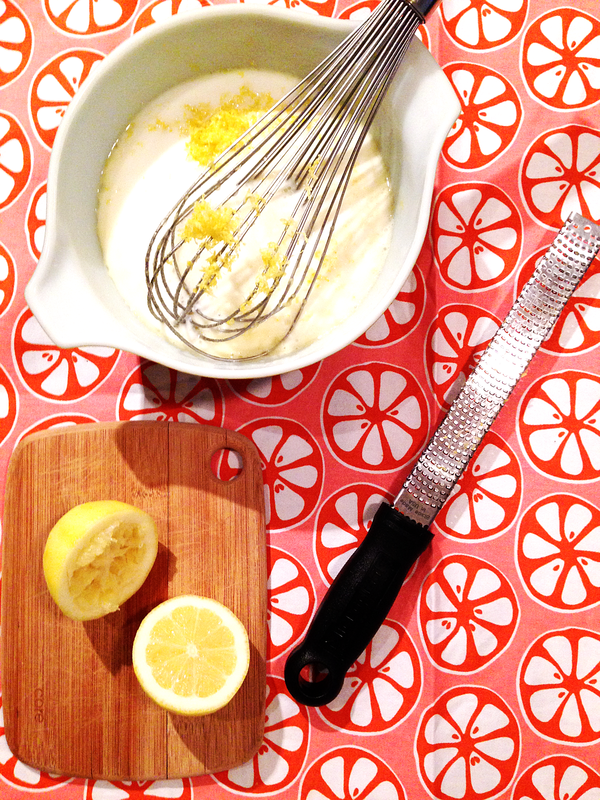 Add the lemon juice, buttermilk, and lemon zest to the wet ingredients bowl. 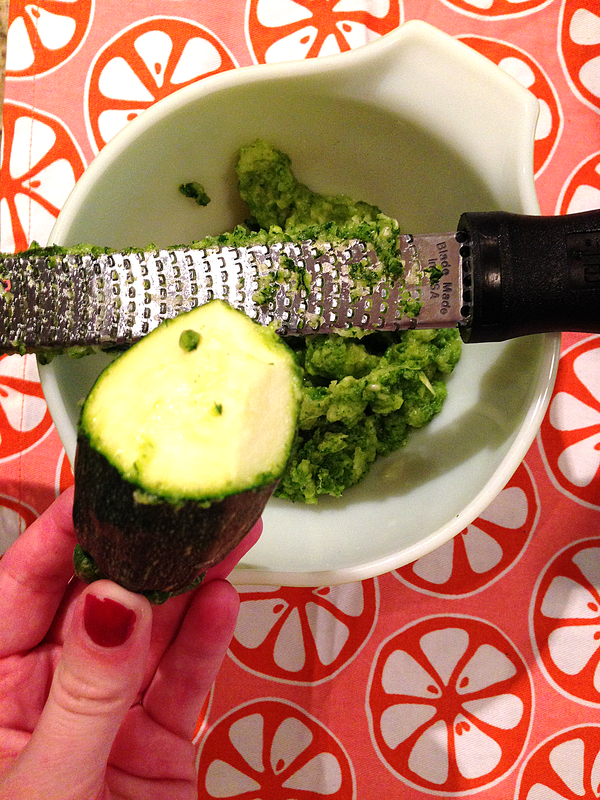 Use a semi-fine grater or a zester (all I had in my case) to grate up the zucchini. 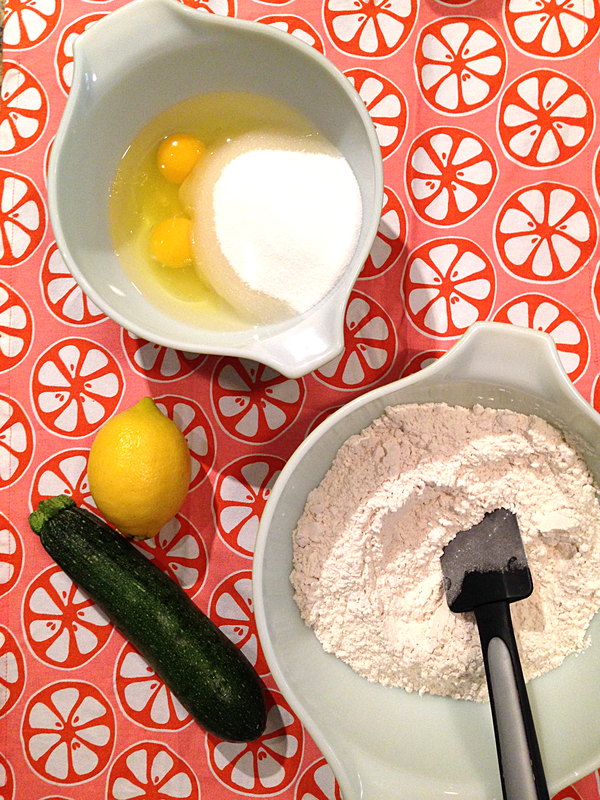 Fold this into the batter (aka don’t blend it in, just stir it so the zucchini doesn’t get turned into a puree). 4. Now add the dry ingredients to the wet ones and combine them all together. Look at all that green! See, I told you it was a vegetable. 5. Throw the bread in the oven for about 45 minutes, or until a toothpick inserted into the middle comes out without any goo on the end of it. While the bread is still a bit hot, whip up the glaze by combining the powdered sugar, lemon juice, and milk in a small bowl. Poke some holes through the loaf with a tooth pick and then pour the glaze over the top. Let the loaf cool for 15-20 minutes and then use two spatulas or a spatula and a knife to pry the loaf out of the pan and onto a plate. Slice up your cake and enjoy! 4. Now add the dry ingredients to the wet ones and combine them all together. 6. While the bread is still a bit hot, whip up the glaze by combining the powdered sugar, lemon juice, and milk in a small bowl. Poke some holes through the loaf with a tooth pick and then pour the glaze over the top. Let the loaf cool for 15-20 minutes and then use two spatulas or a spatula and a knife to pry the loaf out of the pan and onto a plate.